Trevor Nickolls is a senior indigenous artist and seminal figure in Australian contemporary art. 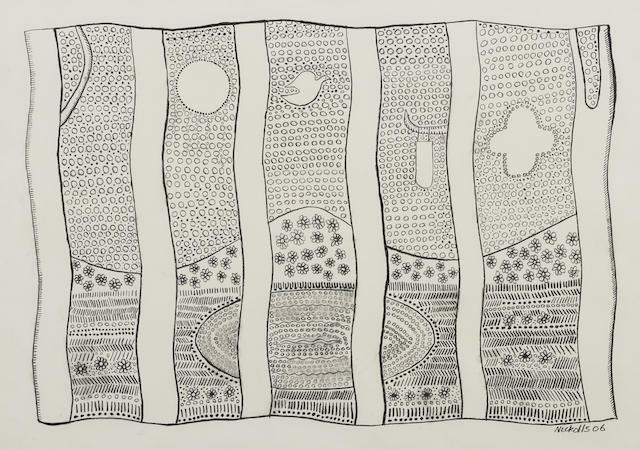 Born in 1949, Nickolls has exhibited nationally and internationally for over thirty years, and represented Australia with Rover Thomas at the Venice Biennale in 1990. Nickolls’s artworks are powerful figurative and symbolic explorations of alienation and the urban landscape, and have informed many of the critical intellectual and aesthetic posi - tions vital to questions of identity and Aboriginality in Austra - lia. His works are widely recognised for their ‘dreamtime/ma - chinetime’ theme, which has become an enduring leitmotiv for the dichotomy of European and Aboriginal histories in our nation.